Employee: Oh yeah… I think I heard about that. Employer: The prize is a trip to Louis Roederer in Reims, France… doesn’t that sound amazing!!? Employee: Yes… that sounds amazing. Employer: Andy… I THINK YOU should apply. Employee: I’m not so sure, I’ve got a lot on. I’m not too good in those pressure situations. I don’t think I’m at their level yet. I wouldn’t want to let us down. I don’t think I’d stand a chance…maybe next year? Employer: Andy, your application will be in by tomorrow morning! 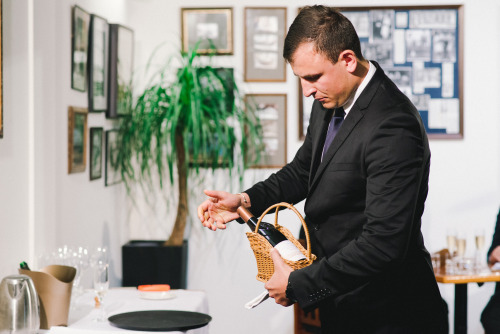 The New Zealand Sommelier of the Year Competition is part of the W&F Wine and Food Celebration held at the New Zealand School of Food & Wine. The event and three wine industry competitions including; the Junior Sommelier of the Year and Young New Zealand Wine Professional of the Year are the brain child of Celia Hay. The day long competition included a blind tasting of seven wines, a theory test, a wine list that was in dire need of fixing and finally a presentation to the judges where the contestants were required to open and pour Champagne, properly decant a vintage red wine and answer questions in a restaurant scenario. The 2014 competitions were judged by Tim Hanni MW, Therese Herzog and head Judge, Cameron Douglas MS. It was a great honour to win and on 9th May this year, my fiancée Ann-Maree Wallace (who was quick to decide last year that she thought she might tag along) and I landed in the foodie mother country, France. 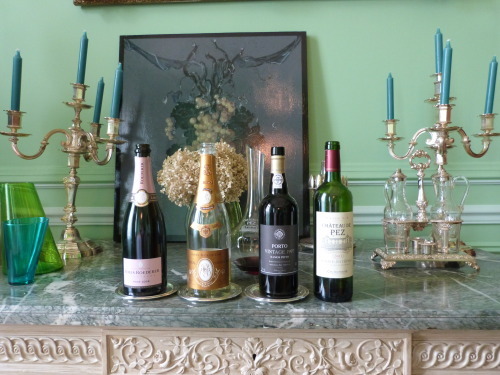 The prize was sponsored by the New Zealand School of Food and Wine, Eurovintage and Champagne Louis Roederer. 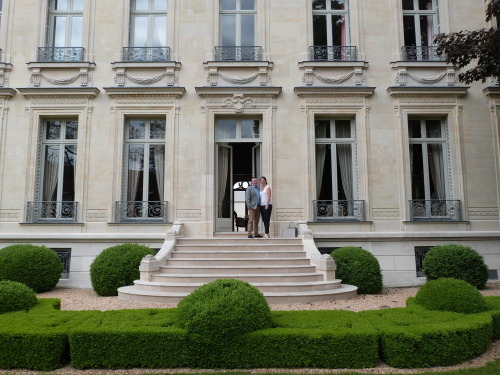 Ann-Maree and I decided to tack on a couple of days in Paris before being chauffer-driven to Reims, the capital of the Champagne region, and home to the house of Louis Roederer. Claire Martinot showed us around the two parts of the business. Louis Roederer has two teams, one focusing on the non-vintage Brut Premier and the other on the Vintage and Cristal brands. Although they are considered a Grande Marque house Louis Roederer is still family owned and the strenuous passion for producing the best wine is definitely their mantra. Profits seem to be re-invested back into the production methods and related resources from vine to bottle. Employees are part of the family and are just as passionate as the Roederers and Rouzots founding families. This was an inspirational tour. Claire then dropped us around the corner at the original Maison du Roederer for lunch with global sales director, Frederic Heidsieck. The Maison was like a museum and considering the history of the company and of Champagne, I guess it is. Until recently, it was a private residence. Frederic is the best Champagne global sales executive guy to have lunch with! From the first aperitif of Cristal to the final drop of Ramos Pinto Port, Fred was full of stories and energy that kept us entertained (like the time he and Jay Z had ‘Beef’ or ‘Boeuf’ with each other). He told us about the history and how things are in France today. He asked a lot of questions about New Zealand and rugby (as he is mad keen on rugby). For a captain of an important French Champagne house, he is a very cool dude! 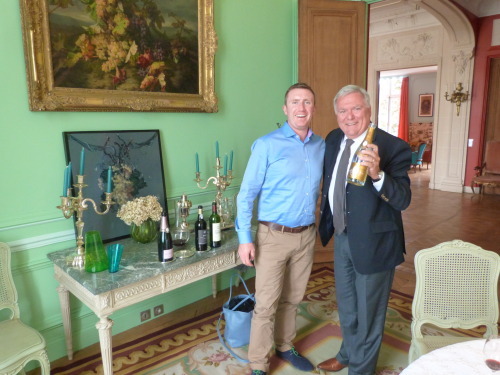 Who would have thought that 9 months earlier, I had been scrambling for an exit excuse to my boss, and now, here I was, sitting in the House of Roederer enjoying a lunch and trip of a lifetime…Definitely not me!